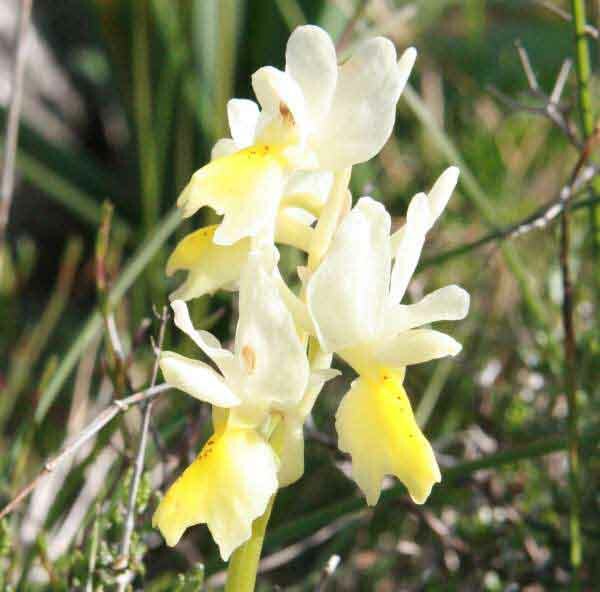 Orchis pauciflora is short, robust species that appears to be weighed down by the disproportionate size of its flowers. The plant grows to between 10-30cm tall and has 4-9 erect basal leaves which are unmarked and pointed. There are smaller bracts clasping the upper stem. Each stem bears 2-8 large flowers with pale sepals and petals, and lips which are deep yellow in the centre and marked with dark red dots. There is a large cylindrical spur to the rear of the flower which is often curved upwards. 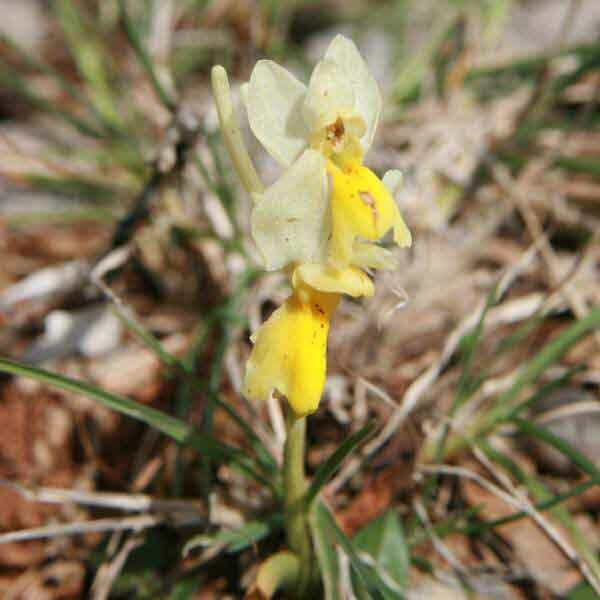 This orchid is similar in appearance to Orchis provincialis with which it is frequently confused. They both occur in the same habitats which adds to the problems of accurate identification, but Orchis pauciflora is a rarer find. The leaves of Orchis pauciflora are unmarked and the lip of the flower has a distinctly ragged-looking edge and is flatter than that of Orchis provincialis. 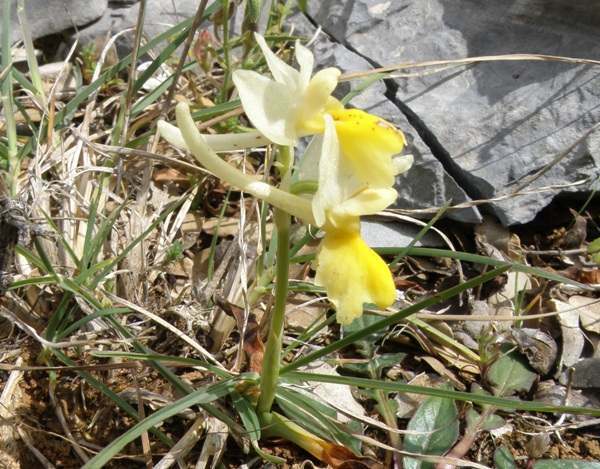 The reported range of this orchid is questionable due to confusion with Orchis provincialis but it is recorded from eastern Mediterranean countries including Greece, Crete, Italy and Algeria. Orchis pauciflora tolerates dry, stony habitats that are calcareous, and it grows in light, open woodland and grassy places. The specimens shown on this page were photographed in the Gargano Peninsula in Italy.